A big hit back in 80's from the danish pop-group "NEWS". Here in a well-sounding instrumental setting. 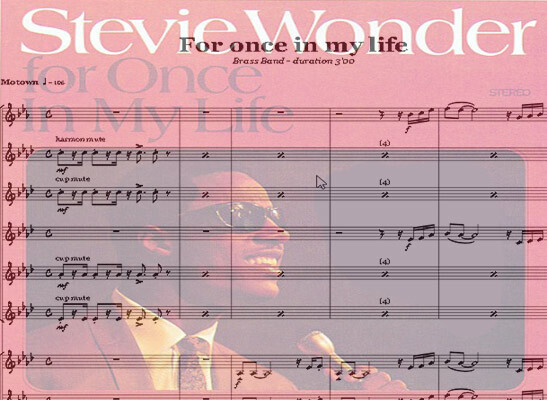 Stevie Wonder's hit from 1968, here in a medium/advanced instrumental setting also including Stevie's harp-solo. 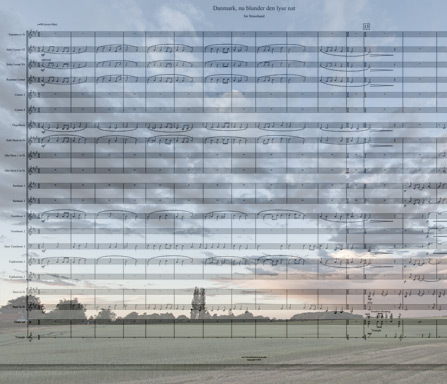 Happy all time classic from 2014 in a great Brassband score arrangement. The No. 1 Hit by Pharell Williams arranged for Brassband & Marching Drums. A great Brassband chart for easy reading and playing. 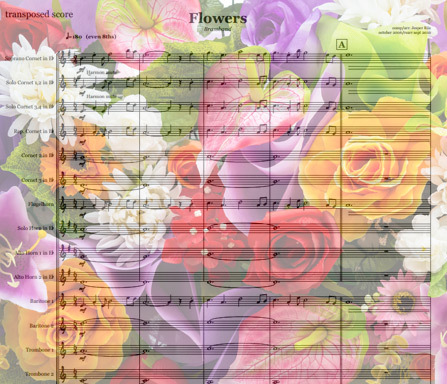 Musicnotes to be printed instantly. 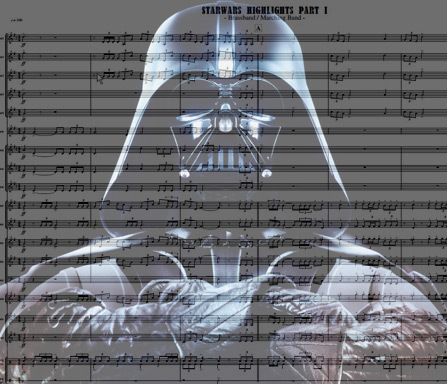 MAIN THEME, IMPERIAL MARCH & THRONE ROOM MUSIC. No break between Part I & II. Drums continue attacca, while horns change sheet. 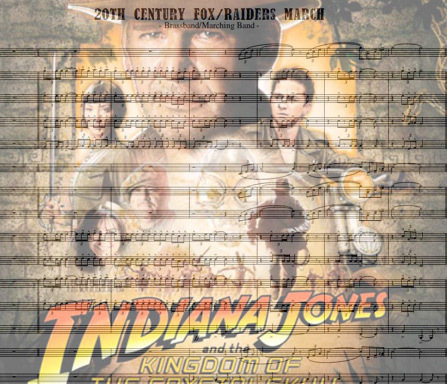 John Williams' main theme from the Movie Picture "Indiana Jones" movie series, combined with the "20th Century Fox - Fanfare". Brassband score for the India Jones maintheme. Heres is a another movietheme for Brassband playing. From the Motion Picture "Bear Brothers" - Soundtrack. Written and performed by Phil Collins. 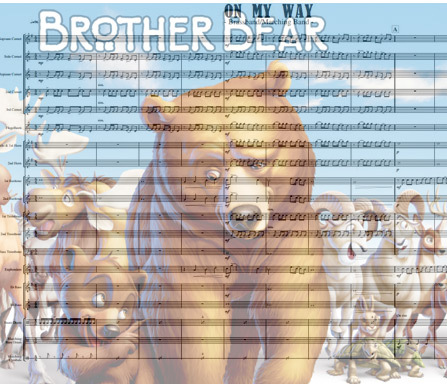 The Song "On My Way" arranged for Brassband. 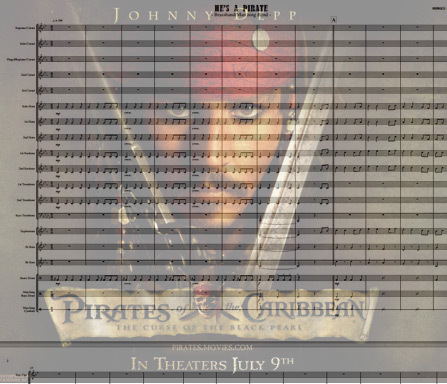 Main Theme from the Motion Picture "Pirates Of The Carribean" arranged for brassband and marching drums. Lovely old danish song arranged with a groovy 6/8 feel. For brass band!! 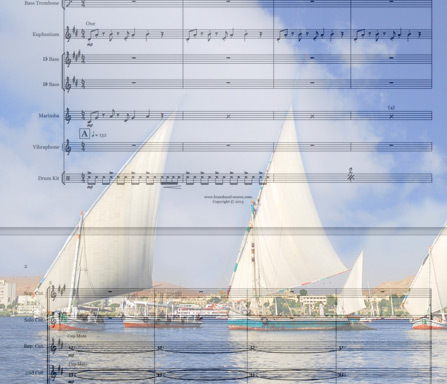 Quiet, flowing Brassband piece describing a sailboat-trip on the Nile river. 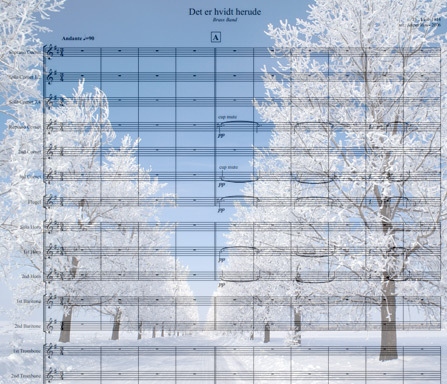 Lyrical arrangement of this beautiful danish winter-song with challenges for the whole brassband. 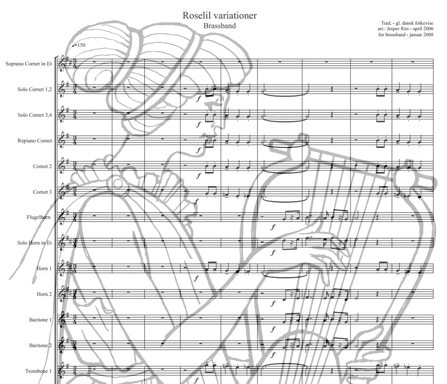 Old danish folksong arranged in several styles from medieval thru Herb Alpert to James Brown. 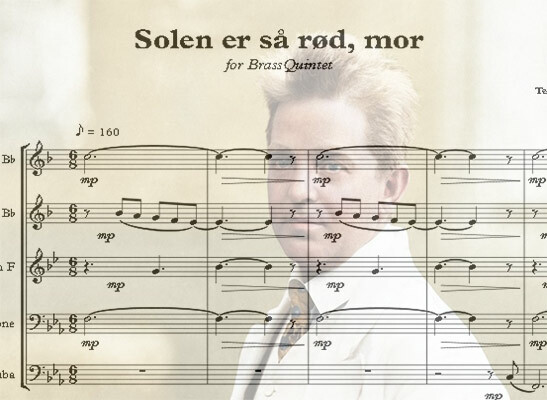 The wonderful Carl Nielsen song praising the danish spring- and summer-time. In a crisp and modern brassband-setting. 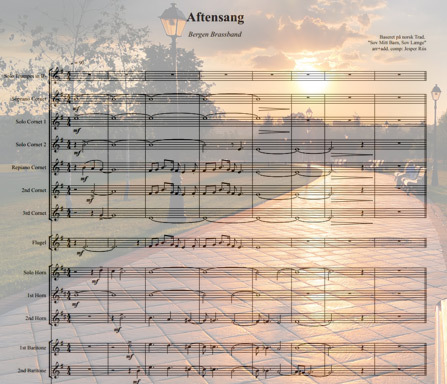 Aftensang is a comissioned work for the program Bergen Brass Band performed at Siddis Brass 2010. 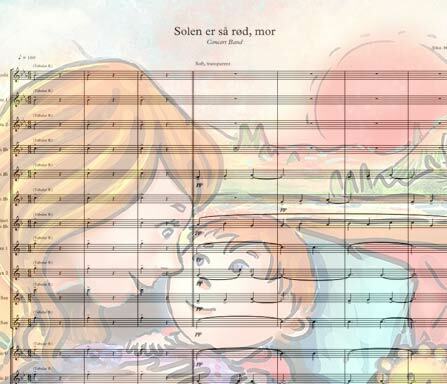 The composition is based upon an old, beautiful lullaby from Voss - near Bergen, Norway. 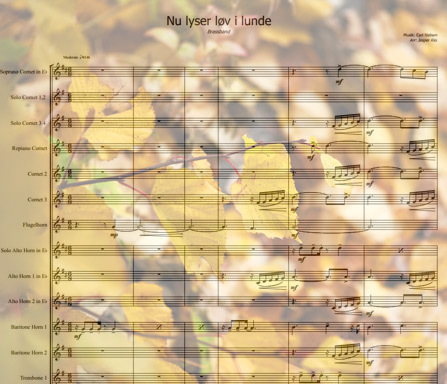 Composer -	Jesper Riis/Norwegian Trad. 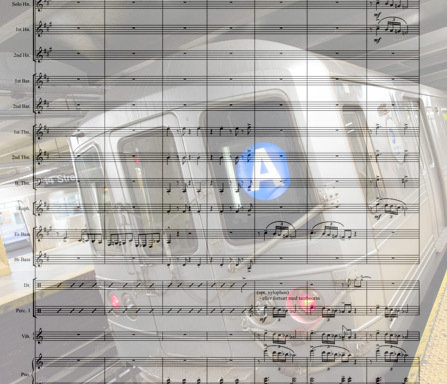 A very melodic composition in a challenging arrangement. Lots of counterpointal stuff. 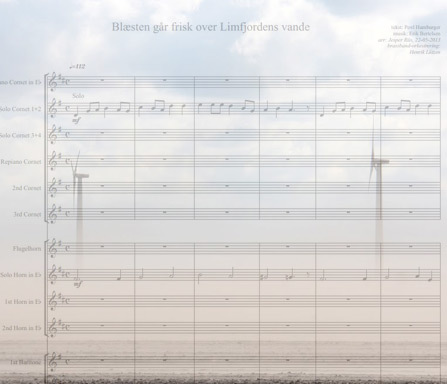 Bergen Brass Band performed this piece at Siddis Brass 2010 with great succes. Beautiful danish summer song in a hip, exciting brass band-setting.